In my experience, after the hundreds that I have had to design & work with, over 27 years, there are a lot of physics & understanding that is associated with different applications that are possible. What it will ultimately come down to is motor construction and variable frequency drive (VFD) capabilities and size, based on specific application. There are also a few questions that must be answered before a solution will be specified. We have to deduct that some equipment is already in place. What type of motor. Voltage, efficiency, insulation type, cooling type, (most listed on nameplate). Environment. Is this a hazardous location? May be not, but you must specify it. Will the incline of the load, and the load be big enough that braking and maintained position must be specified? Start/stop-how quickly & frequently must the load be started & stopped? 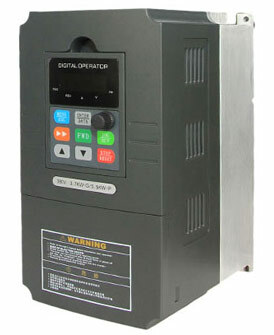 Most of the solutions, based on even the most basic of motors will still resort to a VFD solution. You can do dynamic braking, DC injection (although for quick stop, NOT to be maintained for long periods of time). Frequency of start/stop. There are numerous VFDs, based on different manufacturers that are able to provide Front End Active drives that allow for the re-gen voltages associated with an overhauling load. They are more expensive, but provide for a LOT less maintenance, based on the applications, compared to braking resistors (that is my hands-on experience). The initial evaluation is up to you. If the application is in an area where line transients and outages in the 3ms and up range, line commutated regeneration is going to cause additional concerns. DC Motors with 12 SCR DC VFDs are line commutated power structures and can have commutation problems. Even AC VFDs that use an SCR front end for regeneration to the AC line will have similar commutation difficulties. There are some possible solutions for loss of line during regeneration but all require additional design attention, hardware and cost. One positive step to consider is some attention to the AC line to which the application is to be sourced from. Note that these studies have to be capable of noting line loss and transients at the 1 millisecond time interval.